Mississauga, ON and Ottawa, ON – June 11, 2018 – Gap Wireless, a leading distributor of products and services for the mobile broadband and wireless markets, and ThinkRF Corp, the leader in software-defined spectrum analysis solutions, announced today that ThinkRF’s advanced spectrum analysis platforms will be distributed by Gap Wireless in Canada and the U.S.
“We’re pleased to add ThinkRF’s products to our inventory to meet the need for monitoring, detecting and analyzing signals for today’s wireless networks and evolving 5G networks,” said Derek Gordon, Product Line Manager, Test & Measurement Solutions at Gap Wireless. “Partnering with Gap Wireless allows ThinkRF to reach a broader market with our software-defined spectrum analyzers that address some fundamental limitations RF engineers and developers face today with traditional benchtop or rack mount analyzers,” said Jim Short, VP of Global Sales at ThinkRF. 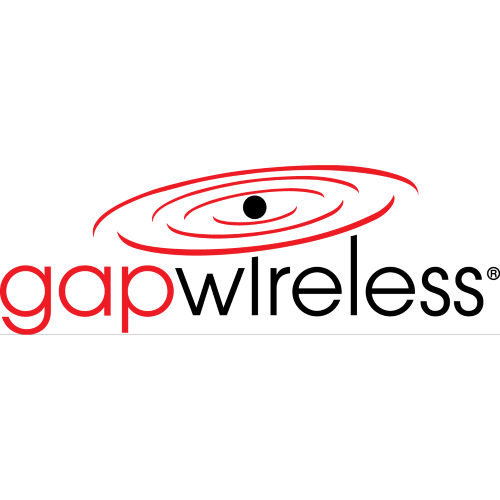 ThinkRF’s products are available now from Gap Wireless at www.gapwireless.com or by reaching quotes@gapwireless.com. Find out more about ThinkRF software-defined spectrum analysis solutions. ThinkRF and Gap Wireless will demo the ThinkRF R5500 Spectrum Analyzer interoperating with the Keysight 89600 Vector Signal Analysis VSA software at the International Microwave Symposium in booth #1335 from June 12-14 at The Pennsylvania Convention Center, Philadelphia, PA.
Gap Wireless works with industry-recognized vendors to stock and distribute thousands of wireless infrastructure, Test & Measurement products, and offers a suite of hardware and value-added services for the UAV (drone) market. Serving carriers and contractors throughout North America, Gap Wireless also provides value-added technical/engineering services. ThinkRF is the leader in software-defined spectrum analyzers that monitor, detect and analyze complex waveforms in today’s rapidly evolving wireless landscape. Remotely deployable, PC-driven and easily-upgraded, the ThinkRF solution offers greater versatility, better performance and additional capabilities for 5G, spectrum monitoring, and test and measurement applications. For more information, visit www.thinkrf.com, contact info(at)thinkrf(dot)com or on Twitter, LinkedIn and YouTube.